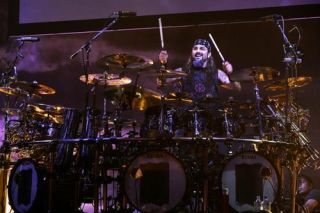 Mike Portnoy has announced he is leaving Dream Theater. The drummer revealed the news through a lengthy statement released this morning. Portnoy, who is currently touring with Avenged Sevenfold, said that this was a decision that he had "struggled with for the last year or so". He continued: "I've come to the conclusion that the DT machine was starting to burn me out...and I really needed a break from the band in order to save my relationship with the other members and keep my DT spirit hungry and inspired. "We have been on an endless write/record/tour cycle for almost 20 years now (of which I have overseen EVERY aspect without a break) and while a few months apart from each other here and there over the years has been much needed and helpful, I honestly hoped the band could simply agree with me to taking a bit of a 'hiatus' to recharge our batteries and "save me from ourselves. "Sadly, in discussing this with the guys, they determined they do not share my feelings and have decided to continue without me rather than take a breather...I even offered to do some occasional work throughout 2011 against my initial wishes, but it was not to be." You can read the full statement over at the Roadrunner website. For more from Portnoy pick up the latest issue of Rhythm.